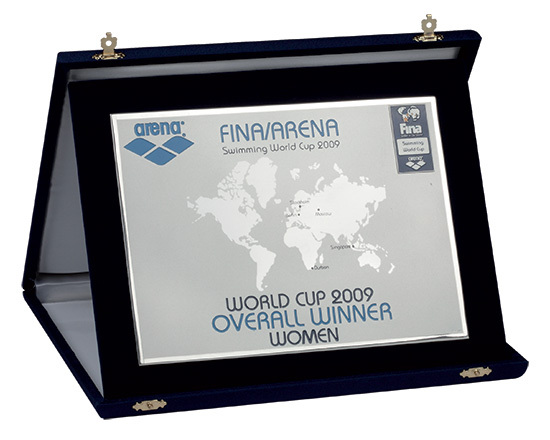 Silver 925/1000 or silver-plated brass. 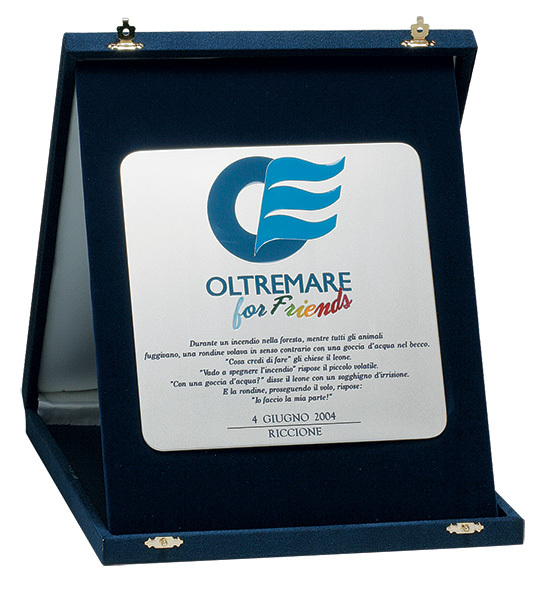 Those who achieve remarkable results – for example, in sports, company and institutional activities – are given plates to acknowledge their merits. 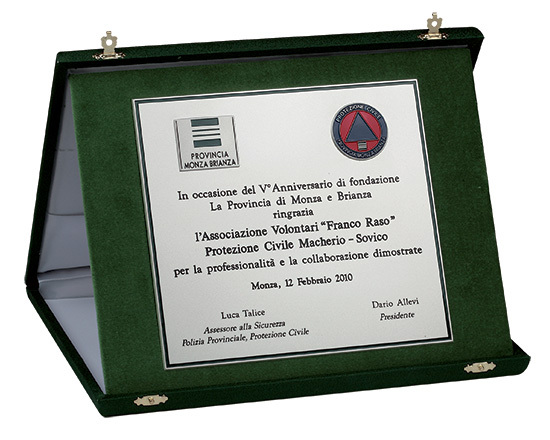 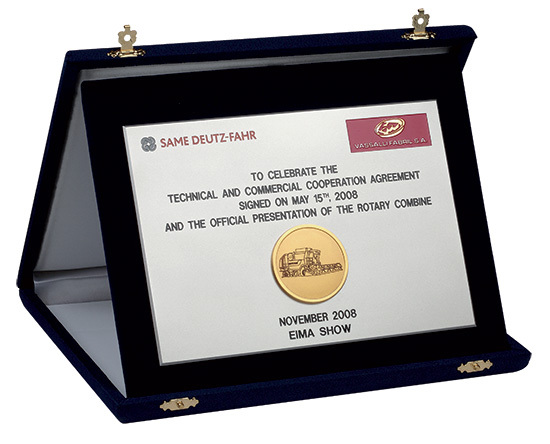 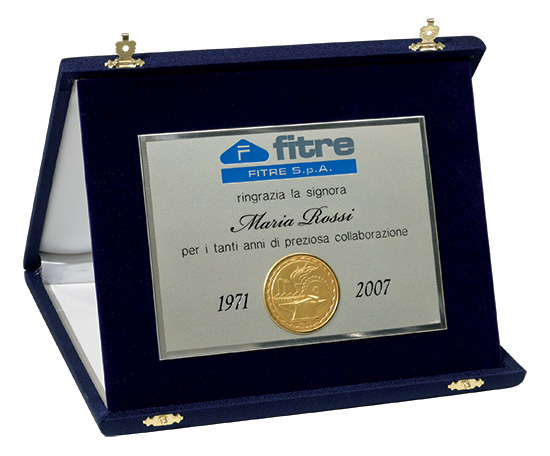 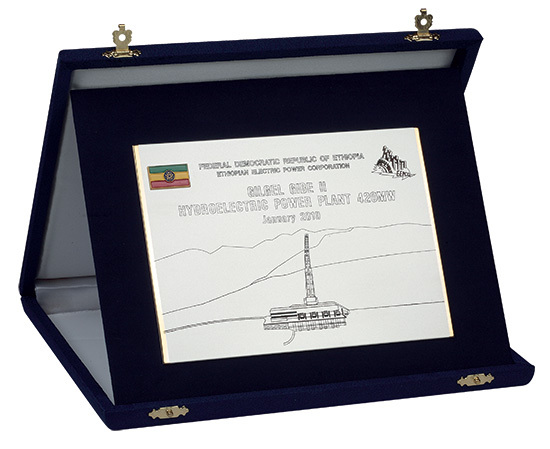 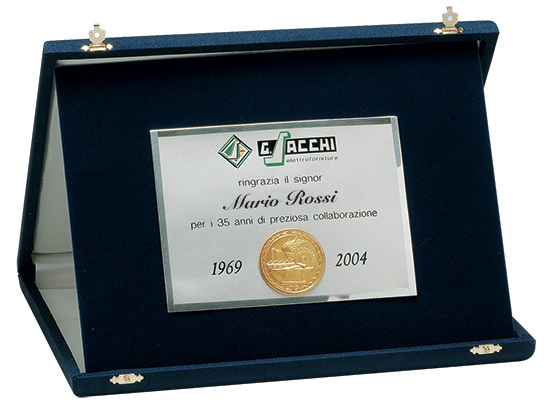 Our plates are made of either Silver 925/1000 or silver-plated Brass, and pantograph-engraved. 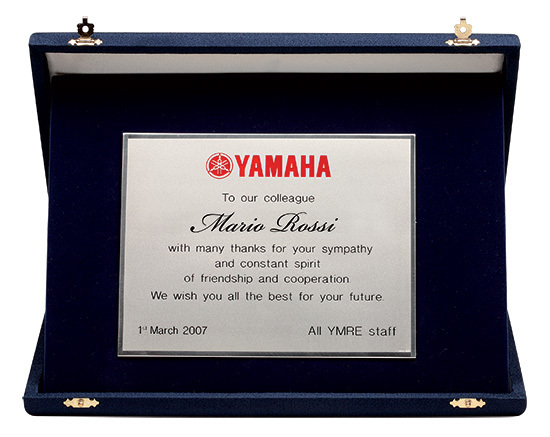 The engraving can be enamelled. 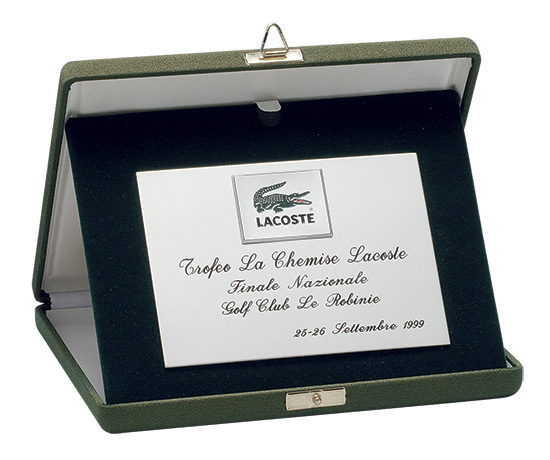 Finally, the case is made of wood covered in either crepè or natural leather.